Cool evolved stars are among the brightest point sources in the infrared sky, and contribute significantly to the interstellar dust of galaxies. They are in a short-lived but important stage of stellar evolution, characterized by pulsations, dust formation, and the production of expanding circumstellar shells. This conference highlighted the physics of evolved cool stars in relation to their stage of evolution, atmospheric structure and dynamics, stellar winds, and associated dust formation. 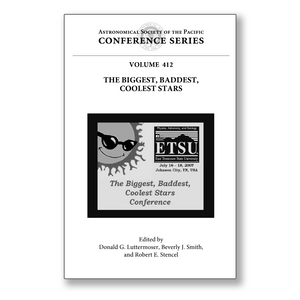 The conference was held at the Millennium Centre near the campus of East Tennessee State University in Johnson City, Tennessee, in July 2007. It brought together astronomers, both professional and amateur, who are working on different aspects of cool star research. These included dust theorists, numerical modelers, and experts in observations at different wavelengths. The result of the meeting was a more complete picture of these stars, which is summarized in this volume. Several recent developments motivated the need for this conference. Current hydrodynamic models of evolved stars are now able to reproduce the optical/UV spectra of such stars. However, simultaneous modeling of the infrared spectrum has proven difficult. Also, adding dust to such modeling is problematic because of the complicated physics of dust formation, destruction, and emission in these dynamic environments. Furthermore, the exact evolutionary relationship between the various types of cool evolved stars still is uncertain. The perceptive reader will discover a number of provocative research directions embedded in the many fine contributions herein.